You won't find a better value competition gun anywhere. If you're into dependability, consistently and accuracy, you need the MAC 3011 SSD (standard short dust cover). It comes with a huge mag well for faster loading, skeletal hammer, flat competition trigger. 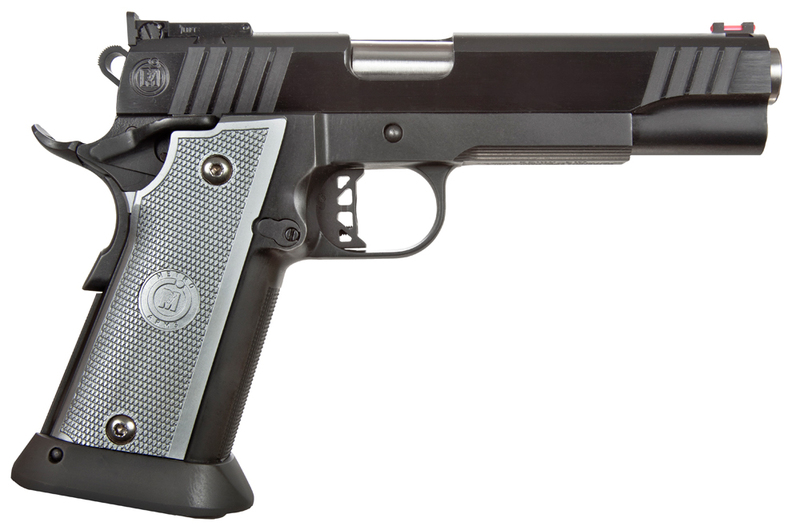 Wide front and rear slide serrations and a checkered front strap make for easier grip. This SAO pistol has a blued finish, thin custom aluminum grip, a dovetail fiber optic front sight, and a fully adjustable Bomar-type rear sight.